Visual communication is older than cave drawing and the brain understands images instantly. For example a baby understands the image of its mother long before it learns the word mother. Research has shown that the brain processes images 60’000x faster than text! It’s a question of speed – our brain takes a lot longer to process them than any given image. And we are more used to processing images because 90% of the information sent to the brain is visual. Imagine a newspaper without images. Blogs without images. When you scroll through facebook observe yourself, most of the time you stop because an image catches your attention. Only then you go ahead and scan or read the written content that goes with it. Instagram, one of the fastest growing social media platforms, is entirely based on images. Pages with images or videos draw 94% more views than text only pages. What that means for you is that you can have the best offer or the greatest content but if it is a words only post it will not get the attention it deserves unless you attach a strong visual to it… And because everybody is starting to understand and do this – you can’t get away with low quality visuals. You have to stand out. 93% of human communication is visual. Observe yourself in everyday situations. If a dish does not look appetizing, we assume it will taste bad. If someone is wearing a dirty t-shirt we think that they are sloppy. 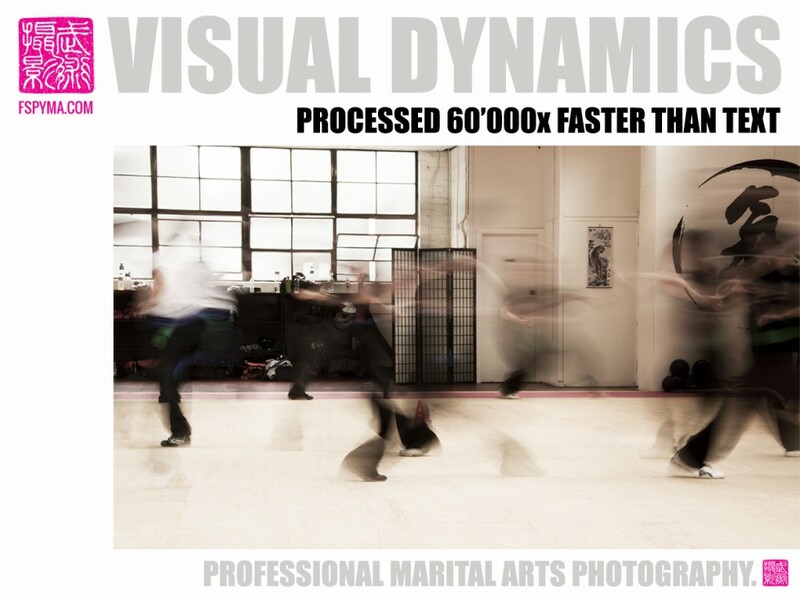 As martial artists we are used to using our eyes to scan for the slightest movement of our opponent. 70% of our sensory receptors are located in our eyes. Therefore make sure that your photos across your communication (online, flyers and at the academy itself) reflect the care you put into your teaching. Chances are that if your photos are blurry, dark & have no continuity, viewers will think that this is how you run your academy as well.